As we have noted, Covered California, the Golden State’s wholly owned subsidiary of Obamacare, is massively dysfunctional and wasted $1.3 million on an absurd promotional video featuring flabby exercise guru Richard Simmons. The California health exchange also stonewalls consumers and serves as a lucrative landing spot for washed-up government officials such as former state finance director Ana Matosantos. But the problems don’t stop there. 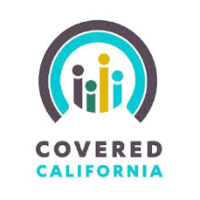 As Jim Miller notes in the Sacramento Bee, consumer groups are pressing Attorney General Kamala Harris to investigate $184 million in Covered California contracts without competitive bidding. These reportedly include “millions of dollars in contracts to firms or people that had professional ties to Covered California executive director Peter Lee.” A reported $4.2 million in contracts went to The Tori Group, “a consulting firm whose founder had once worked with Lee. Other contracts went to the subsidiary of a firm Lee once led,” according to a report from Consumer Watchdog. Covered California bosses claimed they needed no-bid contracts to meet tight deadlines, but Watchdog president Jamie Court said, “This isn’t about speed. This is about being opaque,” and the no-bid deal was “the antithesis of open government and good government.” That is true, but not the end of it. Covered California and Obamacare are the antithesis of good health care. The cardinal rule of anything medical is: first, do no harm. Obamacare violated that rule by taking away the health plans people wanted, and by taking away the people’s right to choose the care they believe best meets their needs. Now they get only the care government bosses want the people to have, administered by a system that is dysfunctional, wasteful, and unaccountable. That may be good for ruling-class insiders, but for everybody else it remains a highly unhealthy situation.